Enter into the mystery of the Sabbath, into the wonder and light of the seventh day. "e;We live in a world dominated by speed and distraction, with demands for our attention at every turn.... We frequently forget the restorative blessing of stillness, our desperate need for rest ... a rest that brings us back to the center of existence, a calm that allows us to reconnect with the divine breath … at the soul of All. "e;-from the IntroductionEnrich your spiritual experience of Shabbat by exploring the writings of mystical masters of Hasidism. Drawing from some of the earliest teachings in the family of the Ba'al Shem Tov through late nineteenth-century Poland and the homilies of the Sefat 'Emet, Eitan Fishbane evokes the Sabbath experience-from candle lighting and donning white clothing to the Friday night Kiddush and the act of sacred eating. 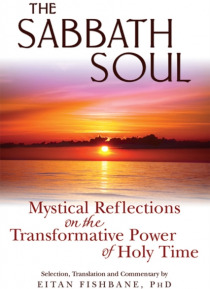 Fishbane also translates and interprets a wide range of Hasidic sources previously unavailable in English that reflect the spiritual transformation that takes place on the seventh day-one that can shift your awareness into the realm that is all soul. Personal prayers of the Bratzlav (Breslov) Hasidic tradition express the spiritual dimension of Shabbat in the language of devotional and individual yearning.